Ontdek drie van de mooiste eilanden in de Venetiaanse lagune tijdens een privétour van een halve dag aan boord van een typisch Venetiaanse motorboot. 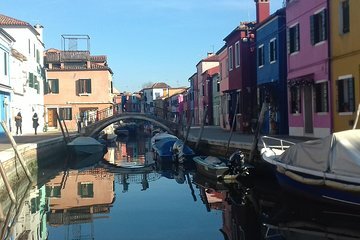 Zie waar 's werelds beste geblazen glas is gemaakt in Murano, bezoek het huis van ambachtelijke kantmakers en beroemde koekjes in Burano en zet voet aan de oudste nederzettingen van Venetië in het serene Torcello. Geniet van een persoonlijk reisplan en de persoonlijke aandacht van een privébootkapitein. We are a family of 5 and thoroughly enjoyed our boat trip to Murano and Burano, these two islands are definitely a must see while visiting Venice. Our lovely guide, Miss Kitty was fantastic and had an extensive knowledge of Venice. We would highly recommend this fun experience to anyone coming to Venice. Miss Kitty also recommended an awesome restaurant afterwards which was much appreciated. Many thanks. This is an excellent tour if you want to escape the crowds in Venice and get out on the water. Mrs. Martinez, our guide, was very knowledgeable and friendly. She was willing to customize the tour to allow us to spend more time in the areas we were most interested. Murano glass blowing is very special to witness. An added bonus is that one of your group participates. Burano is so beautiful and relaxing. Lace making there is a dying art form so go witness it while there is still time! Everyone in our family loved this tour from age 19 to 65. One of the best tours we took. Had a great time in Burano. Our local guide Francesca was fantastic! Would highly recommend her!!! Our guide was prompt and she was pleasant and well informed. Murano was as expected and the glass factory was interesting but it would have been better to see more of the island. Burano was beautiful and very colourful. We were able to walk around the island more but could have spent a lot more time there. 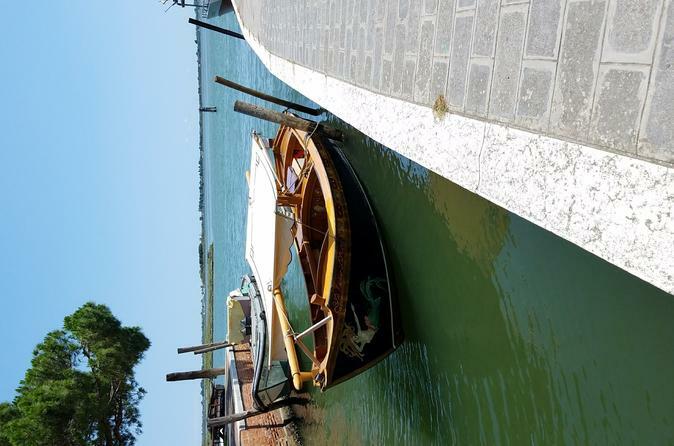 We had to skip Torcello in order to be back in Venice on time and at our request were delivered to a stop on the other side of VENICE from our pick up point. It was a pleasant day but a little rushed trying to cram too much into ½ a day. We had a wonderful guide Lucia. She was very knowledgeable and fun to be with. Highly recommended. The boat ride to the islands and back was truly breathtaking. We stood on the oldest bridge in Venezia, enjoyed the delicious Burano biscuit and witnessed Murano glassmaking at its best. This private tour for a family of four with your own guide and boat was a great way to spend the day. It would have been nice to have a little more time at the church in Torcello and enjoy lunch in Burano. The guide, Donatta, and captain were terrific! The captain agreed to deliver us to the Biennale after the tour and our guide escorted us. We highly recommend this tour for those who wish to explore three of the islands. Enjoy! This was one of the highlights of our 10-day trip. Our private guide was amazing.